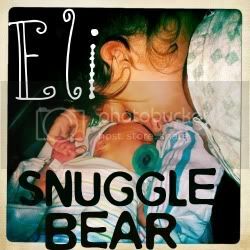 Snuggle Bear Eli: Snow in Texas. Yes, It did Snow in Texas last night. 1 inch! SO PRETTY! I haven't seen snow in 5 years. and yes... I did lay Eli in it for a second. I had to document his first snow day.